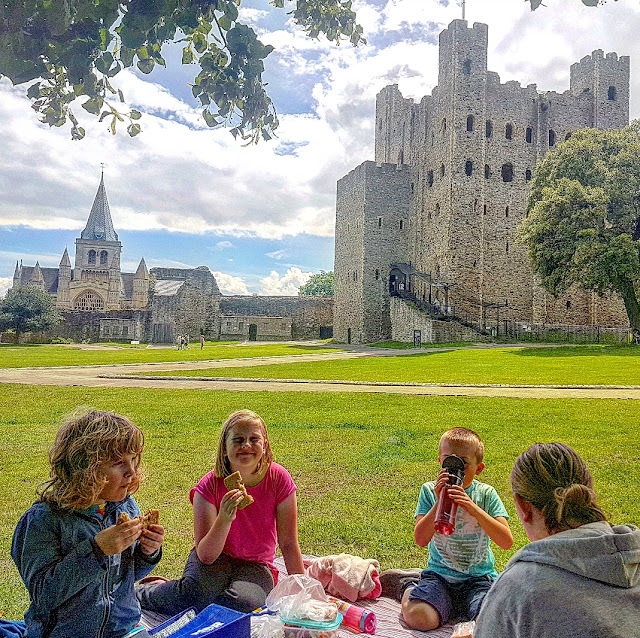 We took advantage this week with one of the sunny days and went for a picnic at Rochester Castle gardens. Although I've featured the area a few times sitting here, looking both at the castle and the cathedral, soaking up the atmosphere really made me appreciate the area we live in. Gorgeous family photo with an impressive backdrop. Great place for a picnic Martyn, but what really stands out for me is the sky. You've balanced the image really well with a great mix of sky and castle. You're so lucky to live close to such a beautiful place. Castles are my favourite thing about English scenery. I'd love to visit that amazing spot! Great photo, very natural. Will is looking very grown up these days. Looks like a lovely place to visit. Aww lovely photo, and the perfect spot for a picnic! Well done on getting both buildings and family all in the photo. We have enjoyed that spot many times. What a lovely photo! So much happiness and such a wonderful setting.